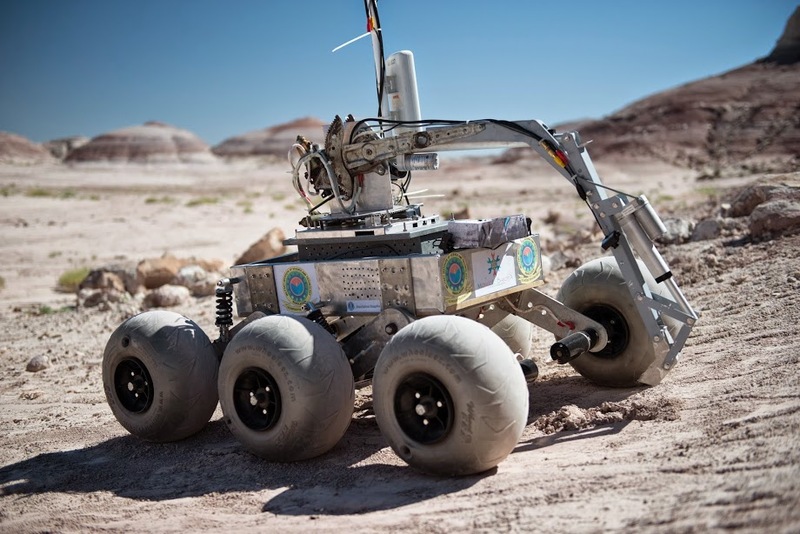 October 27, 2014 – The Mars Society’s University Rover Challenge has formally kicked off its 2015 competition. Student teams will spend the academic year designing and building the next generation of Mars rovers before converging on the Mars Desert Research Station (MDRS) in remote Utah for a three-day field competition May 28-30, 2015. The Mars Society is a membership-driven non-profit corporation based in Lakewood, Colorado that advocates human exploration and settlement of Mars. Its annual University Rover Challenge (URC) draws an international field of science, engineering and computer science students to design solutions to complex robotics problems. Launched in 2006, the URC challenges students to build a rover that will one day work alongside astronauts exploring the Red Planet. The specific tasks of the competition change each year, but generally require teams to navigate their rovers over varied terrain while performing very specific assignments. The tasks for 2015 include sample return, collecting objects and delivering them to multiple locations, performing dexterous operations on a mock-up equipment system, and traversing terrain that may include soft sandy areas, rough stony areas, steep slopes, and vertical drops. Teams have to work within a cash budget and with weight constraints. The competition site is located at the society’s Mars Desert Research Station (MDRS) outside of Hanksville, Utah, where the rocky barren land resembles Martian terrain. Students quickly learn that it’s different working in the field than it is in a controlled environment. After spending thousands of hours working on their rovers, some teams have difficulty getting their rovers to move on competition day and sometimes, simply transporting the vehicles compromises the equipment. It’s all part of the real-world learning experience. The record-setting 2014 event included 31 teams from six countries, and 2015 is expected to be even bigger. As a result, the 2015 rules have introduced a competitive down-selection process that will ensure that high caliber teams and rovers are featured in the competition. There is not a fixed number of teams that will be able to compete at MDRS, but the competition process will ensure that the number of teams doesn’t overwhelm the competition logistics and infrastructure. Teams are required to declare their intent to compete no later than December 5, 2014. No significant deliverables are required for this deadline, except the team details requested via the URC web site. Teams are then required to submit a Team Proposal no later than January 23, 2015. The Team Proposal ensures that teams are organized and have a team structure, resources, and project plan that will enable success. Judges will be assessing each team’s overall level of readiness to undertake the URC competition. Finally, teams are required to submit a Critical Design Review (CDR) Package no later than March 14, 2015. The CDR Package will have both written and video components and will focus on the overall system design, and progress to-date of the final system. The CDR is a competitive milestone and will be judged against other teams’ submissions. Only teams who pass the CDR milestone will be eligible to compete at MDRS.